Is the advice on Chase EMV cards (specifically Sapphire) still to enter a dummy PIN if prompted? I know the priority order is Sig, No CVM, than PIN per prior posts, but when i called Chase just now to set a PIN they kept insisting it would never be required. I told the CSR it's sometimes forced but she still insisted that's not possible and said it would go through as a cash advance anyway. Normally I'd request a new one be sent, but I'm leaving in a few days and don't have time to have it mailed. That's the list taken from a GEMALTO 10-12 CSP. Oops. Well now my referencing the CVM list in my latest secure message in order to try to skip over clueless CSRs isn't correct. So the Online PIN setting is the top priority but only on unattended kiosks? Chase really shouldn't be telling people they'll never need a PIN then. Do you know what the CVM setup is on Citi's cards? I've seen you mention a few others like Amex, but haven't seen that one. The company said personal information of 70 million customers exposed, perhaps separate from the 40 million whose financial information already known at risk. This is very interesting. 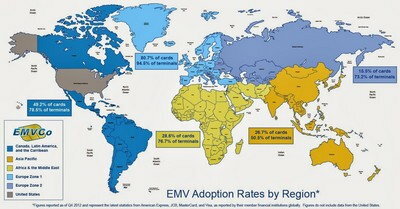 In case you have other EMV cards would you mind providing us with the CVM lists? Very interesting indeed. Are these tests on your own or an actual industry source on the web? Data breaches like the one at Target that exposed information for 70 million customers would be pointless for criminals if U.S. banks switched to the secure chipped Smart Card technology common in about 80 other countries. The article misses the one point that has been an on=going theme of this very long long thread and for which we still don't have the answer. EMV is not synonymous with chip and pin. The deadline is for the adoption of emv but what makes everybody so sure it's going to be chip and pin. Some of the banks seem to be very adamant, although it could be a spin, that Americans "prefer" chip and signature. 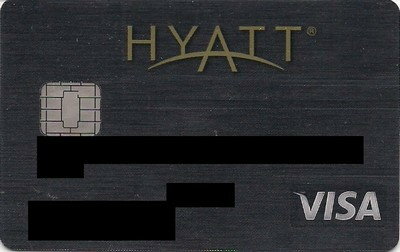 But as we've gone along, with each new introduction of emv cards, chip and signature priority seems to be the preference. By now one would suppose banks would have come over to chip and pin yet as we've argued and argued and argued, there is no chip and pin priority card available to all Americans as of this writing (at least none that we here are aware of). 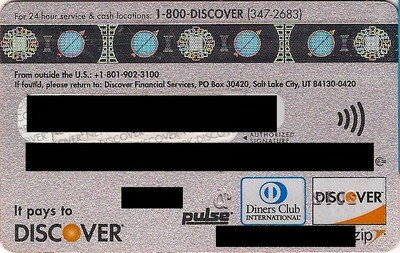 Sure, people point out Diners, UN FCU and even USAA but all are very restricted in just who can join. The rest of the emv inventory, correct me if I'm wrong, are either chip and signature alone or chip and signature priority. So what is it, guys. 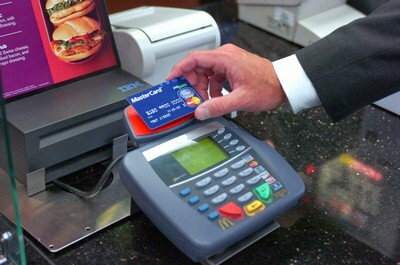 By October 2015 will we see a huge roll out of true chip and pin cards i.e. chip and pin priority or has the die been cat here for chip and signature or chip and signature priority. I don't have the answer and I'm sure nobody here has the answer but what are people's feelings. My feelong and of course I could be 100% wrong is that it will be chip and signature or chip and signature priority unless somebody does something drastic and in a way the best bet (although obviously I cannot tell them how to do their thing) would be if the eu passed a reg that all cc transaction had to be chip and pin. That is just about the only thing, at least in my opinion, that will change the directon we seem to be headed as much as it galls many of the members here. Hope I'm wrong but I don't think so. What will be interesting to see is what version Discover use. Also while American Express currently use C&S its also possible they could decide to use C&P as their C&S cards are really just for travel right now. If both of them used C&P I could see a lot of Visa and MC issuers using it as they'll see it works fine. Some of the banks seem to be very adamant, although it could be a spin, that Americans "prefer" chip and signature. I don't know on what basis they can make this assertion given that I have yet to encounter a single POS unit in my area that will even accept an EMV transaction. How can Americans prefer any non-existent option? This has been one of their justifications for going with chip and signature. Actually the word prefer might be wrong. I think as I remember the actual point was American are used to signature transacton and why rock the boat. I doubt extremely if they did a poll to figure ot what people prefer although let me throw a thought out, again I'm thinking out loud and could be all wet and feel free to tell me I am. The distinguishing feature of the American payments system is literally how many different banks issue plastic be it credit or debit. In the UK, what are there a couple of banks in each country making up the UK (England, Scotland, Northern Ireland while Wales has the English banks I think). Hence having all that many different payment cards is nowhere near as common in the UK as in the US; same holds true pretty much for Canada. I think most settle on one bank and hence what do they have to remember, one pin for the debit card and one pin for the credit card? Here people might have four or five or more cards. Many of the people here have a whole bunch. 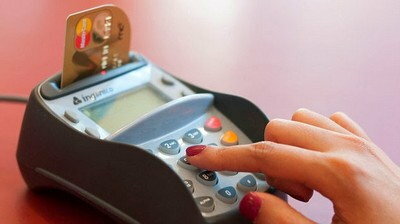 As chip and pin cards have been issued, it becomes harder to keep track of pins. I have to save them on my computer encrypted in a way so even if the computer is hacked, people will probably be unable to figure out the pins. Of course, the solution is to constantly change newly issued pins so one has as few pins as possible (although in a way that can be dangerous, learn one pin and you might know them all if a wallet is lost or stolen). So just maybe the fanks have some small basis in fact how Americans might feel about having to memorize a number of different pins. 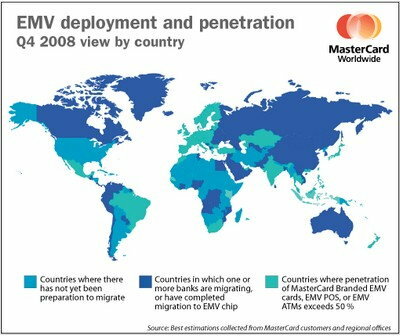 Again we can't forget, not that it is an excuse for not having gone with emv sooner, the sheer size of the American payment system does make it different from most of the rest of the worl. Even the giant countries such as China and India do not have nearly the same diversity of banks, at least I don't think so and of course I could be wrong, that we do. They're pretty much making assumptions based on how we currently do via swiping the mag-stripe: "people are used to signing for credit cards, punching in PIN for debit cards, therefore it should remain the same." Of course, I have yet to hear or have attended any bank or industry sponsored seminars that takes into consideration of the consumers' POV. Most of these EMV talks have been restricted to financial institutions, the payments industry, and merchant groups, with little or no input from the people who are to use these cards: us, the consumers. You know, when people joined Andrews FCU or State Dept FCU via the American Consumer Council, wouldn't it make sense that this consumer council should have a voice in EMV from the consumers' POV? I don't know about in Canada but I'd definitely say the average 30+ adult here in the UK has more than two credit or debit cards in their wallet. A lot of people also have cards from different providers. MBNA, American Express, Capital One, Vanquis and Aqua, don't have bank accounts but plenty of people still have these cards. We manage with all the PINs although generally when we get a new card we'll just go to an ATM and change it to the same one as use on all our other cards. The banks generally encourage us to use one PIN. A lot of cards won't work until they've been activated and unlocked in a ATM anyway (Although some act like C&S cards until they've been unlocked) so not a huge inconvenience to change it. We manage with all the PINs although generally when we get a new card we'll just go to an ATM and change it to the same one as use on all our other cards. Do you know whether the PIN change is online (PIN change stored on server) or does it physically re-write it onto the EMV chip itself (PIN change on EMV chip)? If it's only the former, the US can already do that with PIN changes over the phone, through the ATM or by walking into a branch. Despite what clueless CSRs say, it seems by now through reports that online PIN (the PIN used for cash advance, not some random 0000 or 1234) works with Chip-and-Signature and generally it goes through as a purchase instead of cash advance. But if there is a need to physically re-write the PIN change onto the EMV chip itself, then there's a problem. The US doesn't have that so that will be an extra cost for the banks to deal with. And from a bank's perspective that's the usual "waaaah, it's gonna cost us money, boo-hoo-hoo, feel sorry for us *sniff sniff*"
More banging my head against the brick wall at Chase today. Called in to get the PIN again, and (after several warnings about Cash Advance fees) it turns out my card isn't eligible since I set my Cash Advance limit to zero some months back. Sigh. After the CSR asked why, I explained so I could use it at automated kiosks. He said, "Oh! 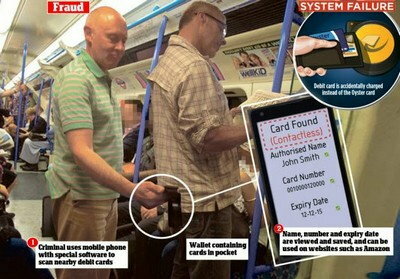 You mean Chip and PIN! Just hit cancel and you'll be fine, this is Chip and Signature." Looks like I'll have to go the video and youtube route if it happens. They definitely don't know how their priority lists are setup. Should be fun at an automated kiosk when it reads Priority 1: Online PIN verification and I don't have a PIN. In the past all Pin changes had to be at the ATM as the change was hard coded on the chip itself. Some issuers are now supporting remote change, where you change it over the phone or online, enter your old PIN on the next transaction after that the PIN will update for the transaction (Excluding Plane and Rail transactions as these normally process offline) via issuer scripts I assume. The latter is only just really starting to happen though and as some transactions happen offline it can really confuse customers as to whether their PIN has changed. This method works better in other countries that use online pin as priority and then offline PIN as the secondary CVM, this means the offline PIN will update when you use your new PIN on the next transaction (NO having to remember the old one or wonder if its changed yet). Regarding the PIN causing a cash advance fee, I don't see how this could happen as this would only happen at an ATM or if the transaction was routed through a US debit network which wouldn't be possible outside of the US.